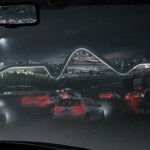 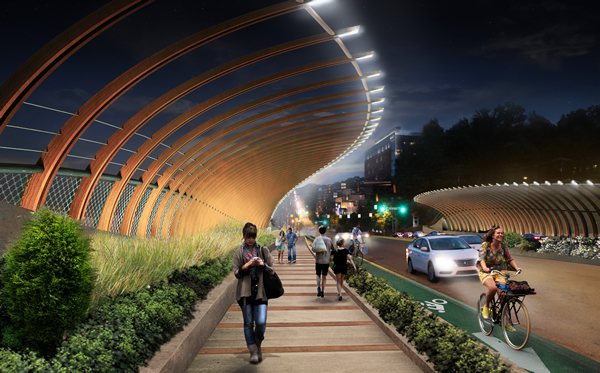 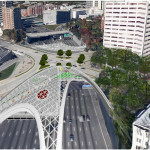 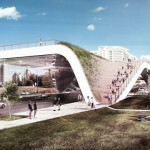 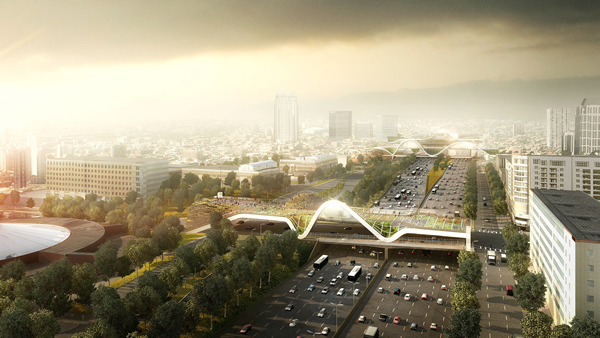 Winners of the Atlanta Bridgescape Competition were announced last week at the AIA Conference that was held in the city. 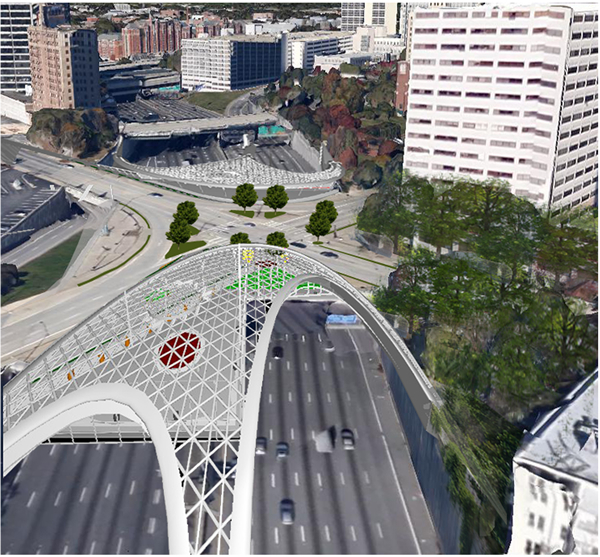 The competition, launched earlier this year, asked multidisciplinary teams to reimagine two of Atlanta’s outdated bridges with a budget of about $3 million. 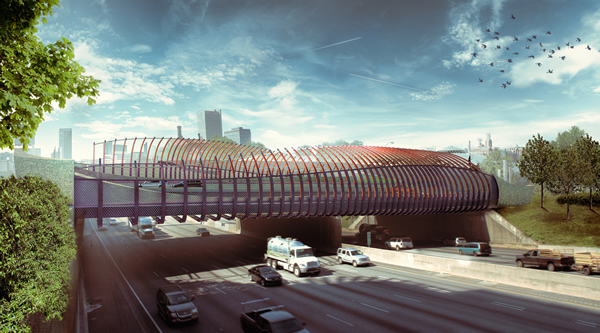 Hometown designers Max Neiswander and Luke Kvasnicka won with (sin)uosity, their plan to remake Midtown’s 10th Street Bridge with plantings, fresh bike lanes, and a curving, ribbed shell. 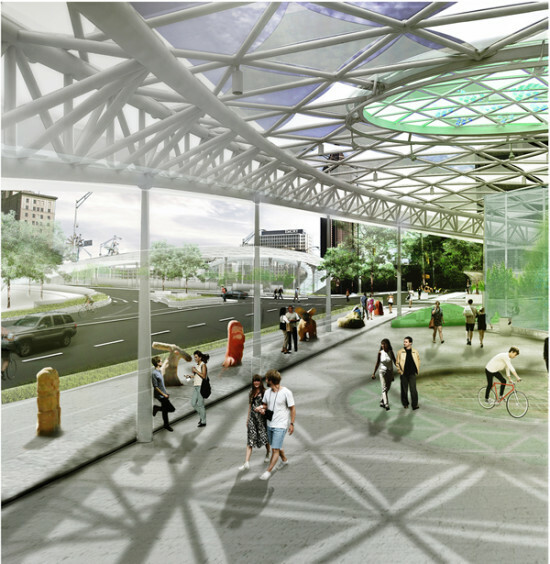 Roger DeWeese, head of the Atlanta-based Peachtree Architects, also earned top honors with Organic Canopy, a vision to top Courtland/McGill Bridge with a geodesic dome–like structure. 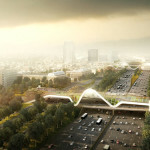 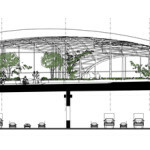 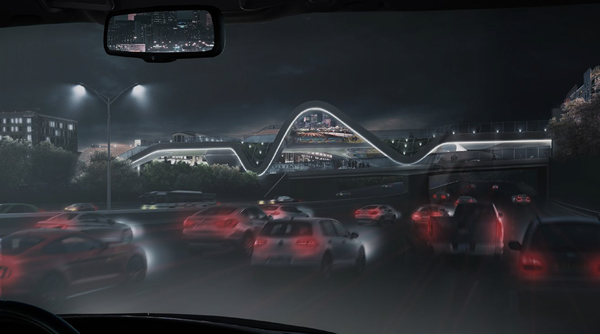 This plan actually won twice as it was selected by the competition’s blind jury and the general public through the People’s Choice Award. 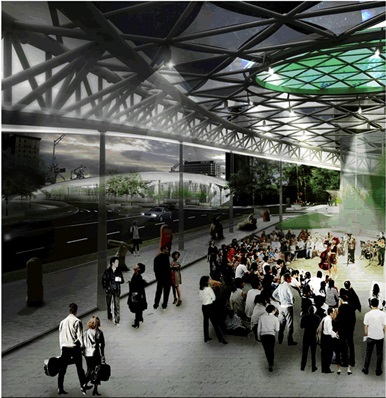 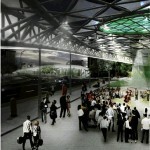 The other People’s Choice Award went to Green City Spectator by the Poland-based KAMJZ Architects along with ARUP. 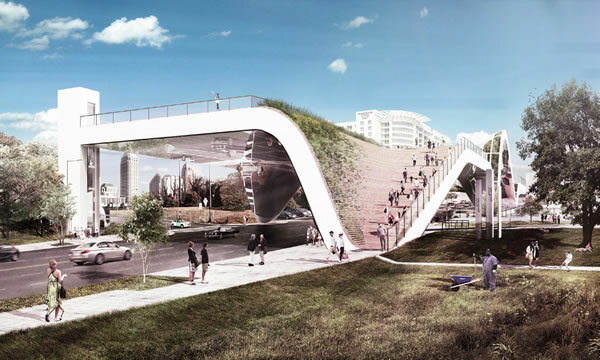 Perhaps the most adventurous design, this scheme tops the bridge with what appears to be farming areas, and also has a zigzagging structure similar to to HNTB’s vision for Los Angeles’ 6th Street Viaduct. 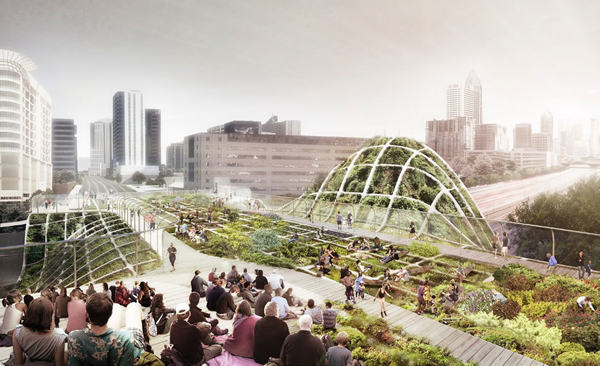 The ideas-centered competition was sponsored by Central Atlanta Progress, Midtown Alliance, and the Atlanta chapter of the AIA.